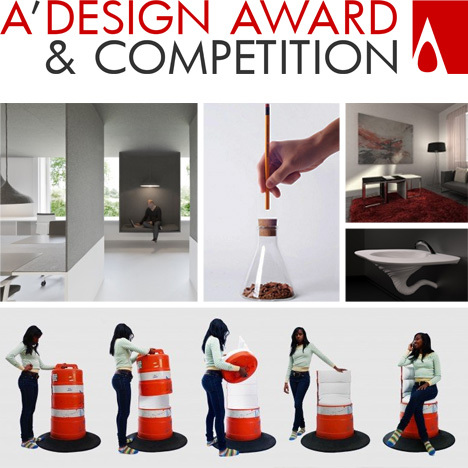 Each year, thousands of designers from over one hundred countries submit works of architecture, furniture, packaging and more to be considered for A’ Design Award. From the past two years of winning projects featured on DesignMag, WebUrbanist is pleased to present ten of the most compelling designs. Starting small: the pencil sharpener is perhaps one of the most significant inventions by and for designers of the 20th Century. 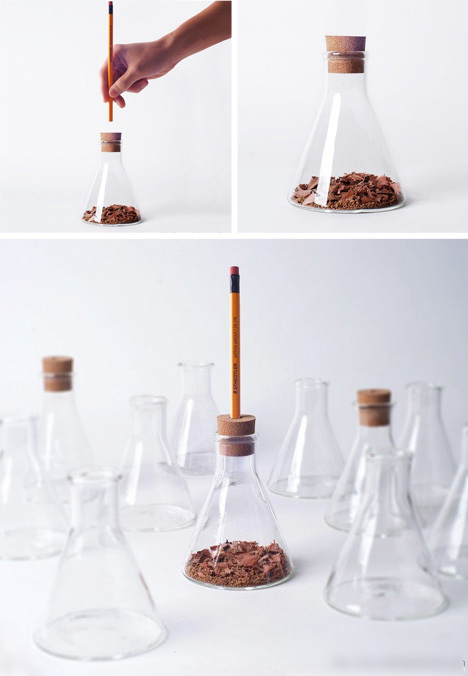 In a new age where manual writing implements are rapidly becoming retro chic, the Acutor by Jaeryong Lee highlights the cool chaotic remnants of each act of sharpening in a classic scientific flask. 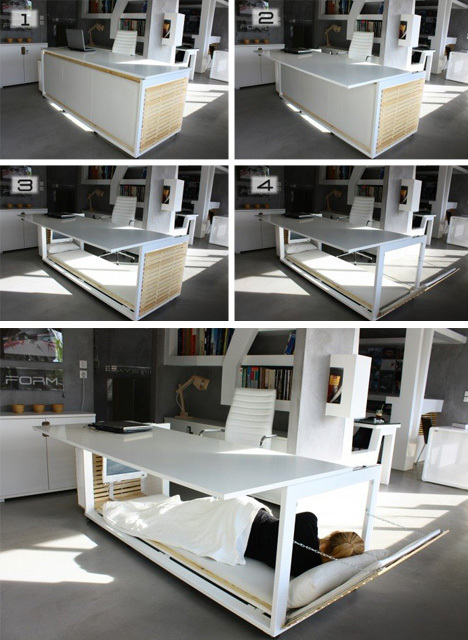 Sizing things up, designers are famously workaholic by nature, so it only makes sense that one inspired insomniac – Athanasia Leivaditou – would craf the Life Desk, an intentional solution for sleeping where you work without simply drifting off while you sit at your desk. 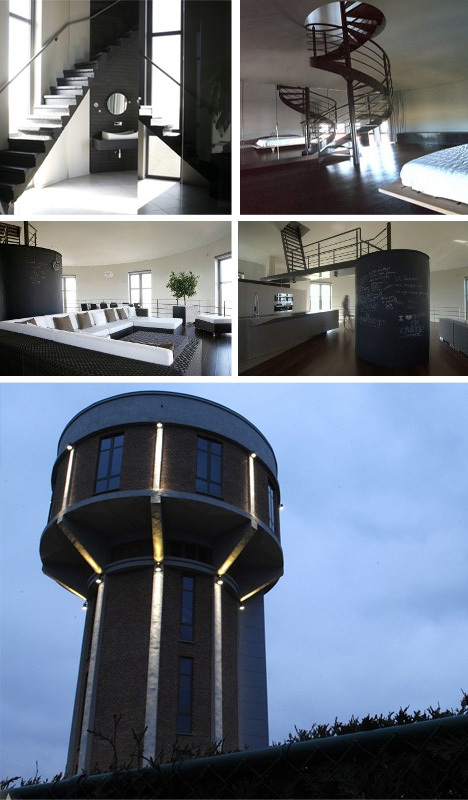 Chateau D’eau House by Mauro Brigham is an exemplary real-life adaptive reuse project. The stunning cylindrical shape once housed a water tower, and now contains six stories of rounded residential and community space. 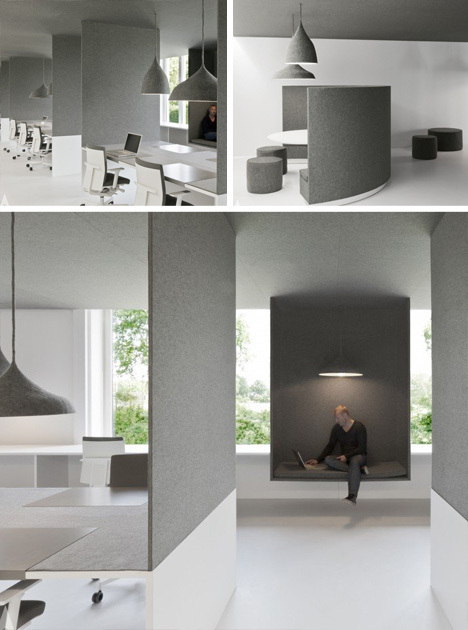 Office 04 by I29 Interior Architects addresses traditional problems of an office – privacy versus community, quiet versus communication – and solves them with an effective-yet-minimalist palette of unusual designs and materials, including suspended-wall seating stations and sound-absorbing fabric finishes. 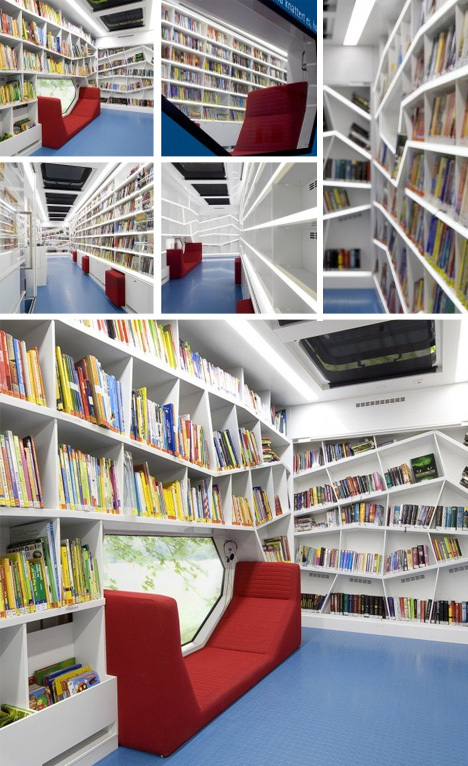 Trying to get the public to the library can be a tricky proposition, which is why the Robi Rolling Library by Claudia Miller brings books and reading spaces right to your doorstep. Built-in furniture manages both to save space and provide neat reading nooks in which to sit and watch the world go by. 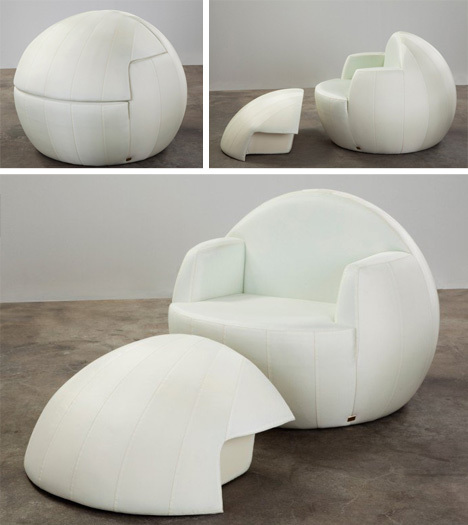 Chairs and ottomans go together like horses and carriages, but few fit quite as snugly as the Gibbous by Nanu Al-Hamad. 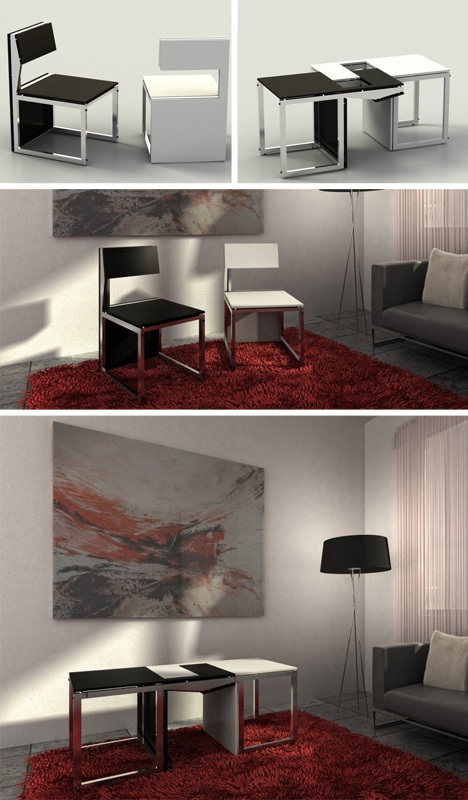 In his transforming furniture piece, the two pieces actually become one whole. 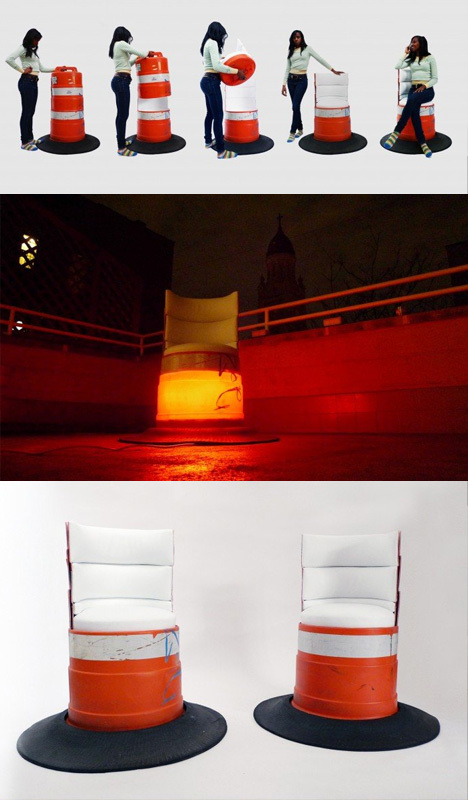 Another seating surprise, the Cloche Chair by Carlo Sampietro hides inside a safety barrel, turning “symbols of caution into objects of comfort” with a whimsically-upcycled twist. In a traffic-rerouting protest or public gathering, these could really come in handy. The Sensei Transformable Chairs/Coffee Table set by Claudio Sibille turns a literal interpretation of the Yin/Yang symbol combination and makes it into a functional piece of convertible furniture, as clever as it is plain. 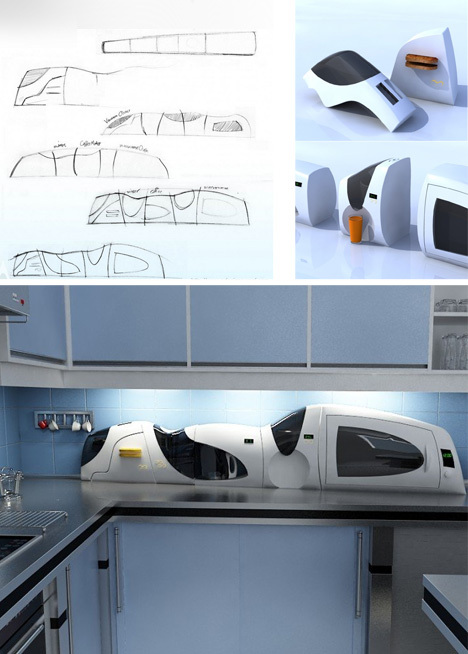 The Kitchen Train series of accessories by Ahmad Abedini shows that even everyday appliances have room left for creative expression – the potential to be integrated elements as well as modular accent pieces. 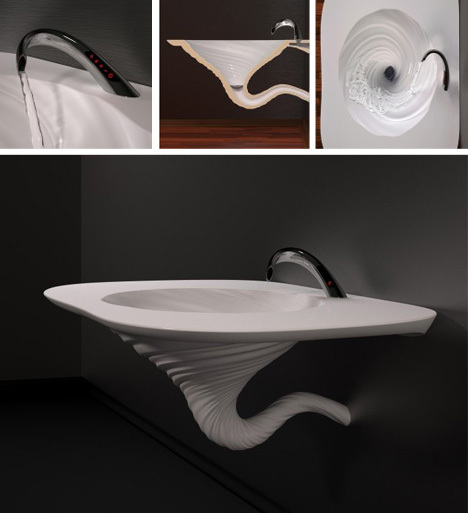 A bit of a spin on your standard sink, the Vortex washbasin by Deniz Karasahin gives solid shape to the spiral form of water winding its way toward and down the drain – an elegant solution to spice up an otherwise-ordinary bathroom or kitchen fixture. 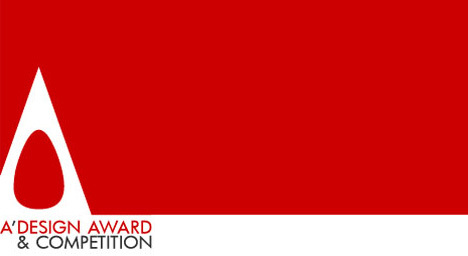 Stay tuned: in the upcoming weeks we will give you the inside scoop on what A’ Design Award is all about, how to submit your own designs for consideration, expanding your audience of clients and employers in the process.